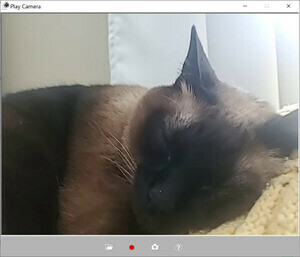 Play Camera is a free Windows webcam utility which provides a number of features if you're the owner of a Samsung laptop. The program, once installed, will automatically detect all webcams present. Once detected, you can use Samsung Play Camera to complete a number of webcam-related tasks. Using Play Camera, you can capture videos directly from your camera or capture image files in JPG format. Version 2.0.0.15 is a freeware program which does not have restrictions and it's free so it doesn't cost anything. For security reasons, you should also check out the Play Camera download at LO4D.com which includes virus and malware tests. Additional screenshots of this application download may be available, too.